Another month has disappeared, meaning it's almost time for another round of Polish Pickup! 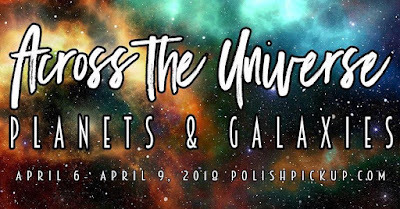 This month's theme is Across the Universe - think space, stars, galaxies, and sci-fi. 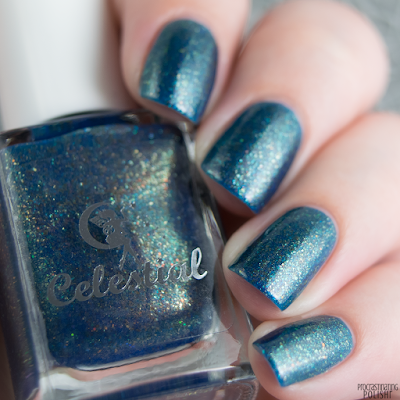 I've got swatches of two of the polishes this month, beginning with a stunner from Celestial Cosmetics. The inspiration is the Eye of God Helix Nebula - pretty spectacular, right?! 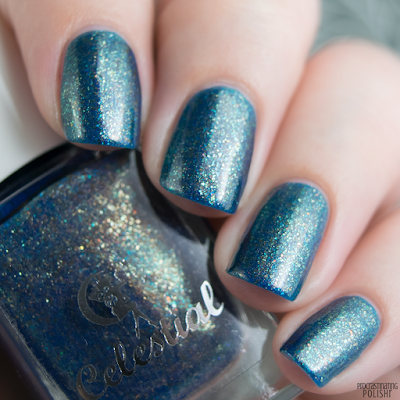 Spaced Out is a gorgeous rich peacock blue jelly filled with colour shifting micro glitter, bronze micro flakes and a subtle copper shimmer. The flakes give it such depth - the deeper flakes have a bit of a green tint from the layers of jelly, and the flakes from the top layer give that warm bronze glow. With a matte top coat it has a lighter appearance, it softens the finish and makes the flakes pop a little more. The formula is beautiful, easy to apply with a smooth finish and opaque in 3 thin coats. 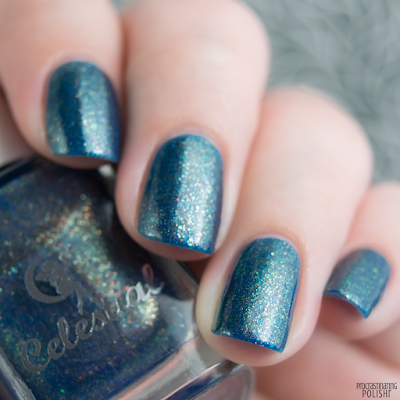 The glitter and flakes glide on the nail with ease, and it dries down quite smooth, though I always recommend a thick quick dry top coat to make it jellies look perfect. 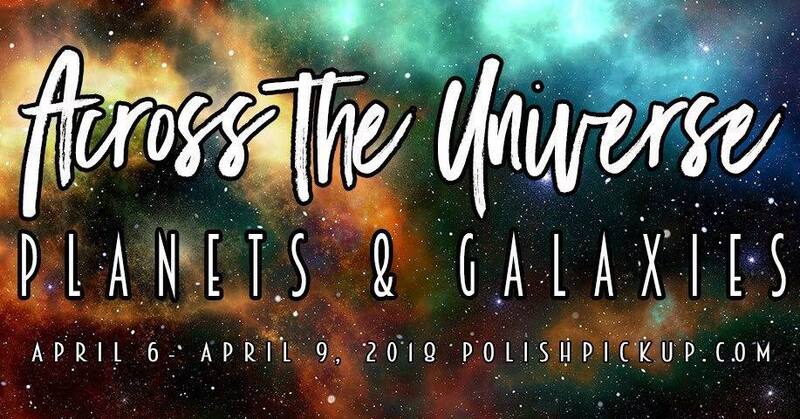 Most polishes are capped - there will be 175 bottles of Spaced Out available to purchase, for $11 USD each.